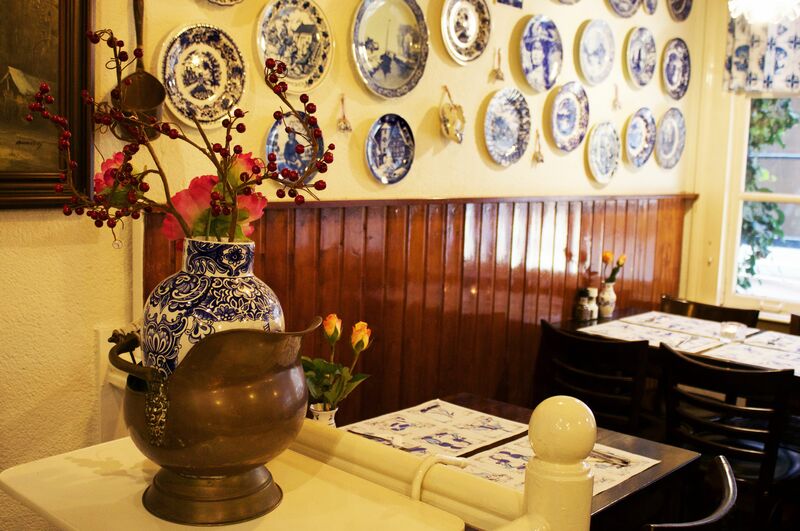 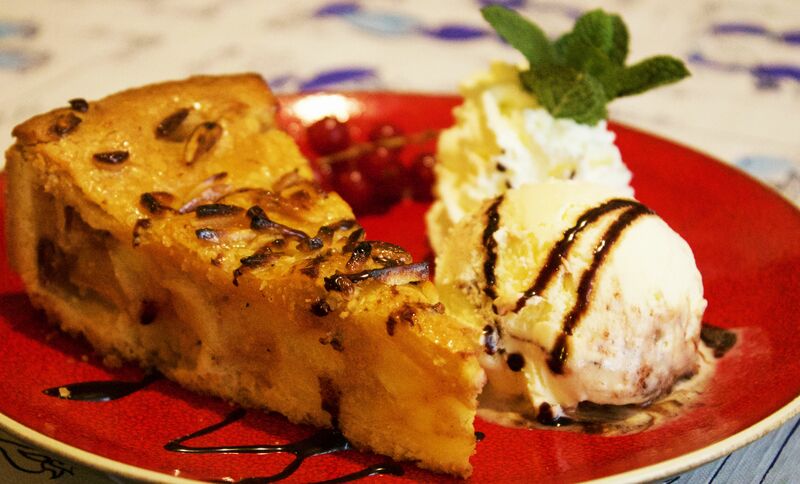 Our cute petit restaurant is located in the beautiful center of Amsterdam . 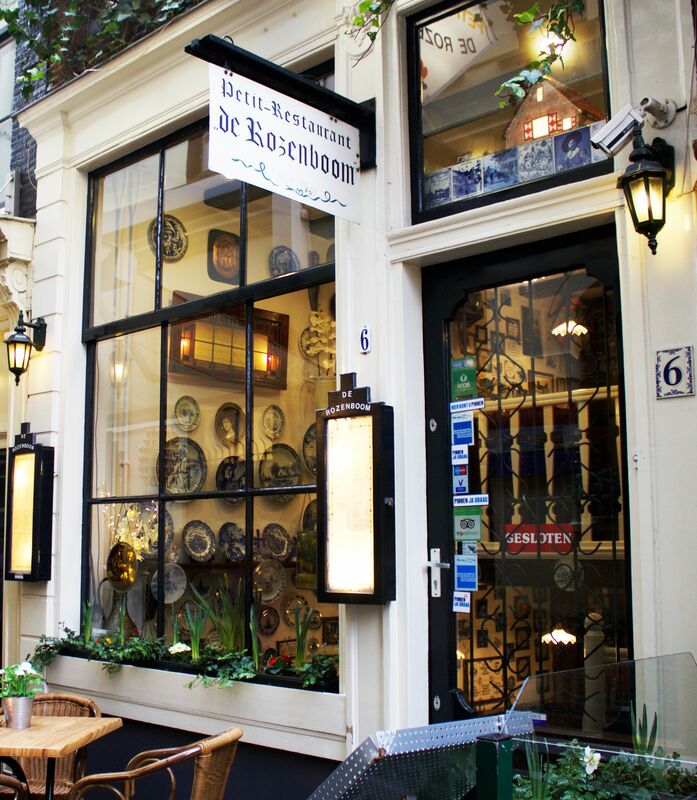 We are located on the biggest shopping street in Holland, were we created our own little Eden. 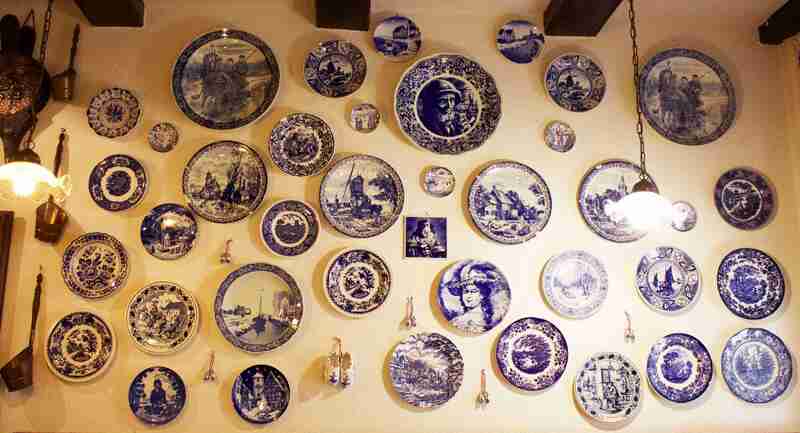 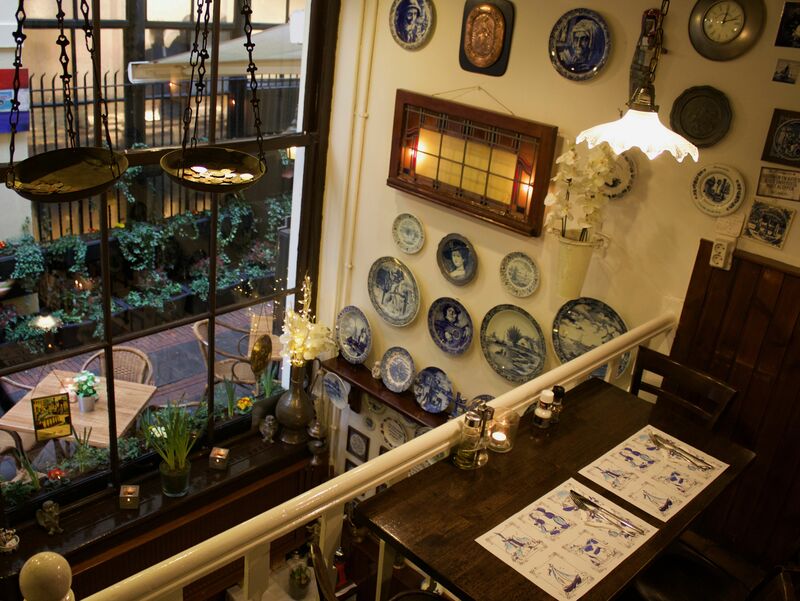 decorated with delft blue plates and wooden tables and chairs giving it a rustic look. 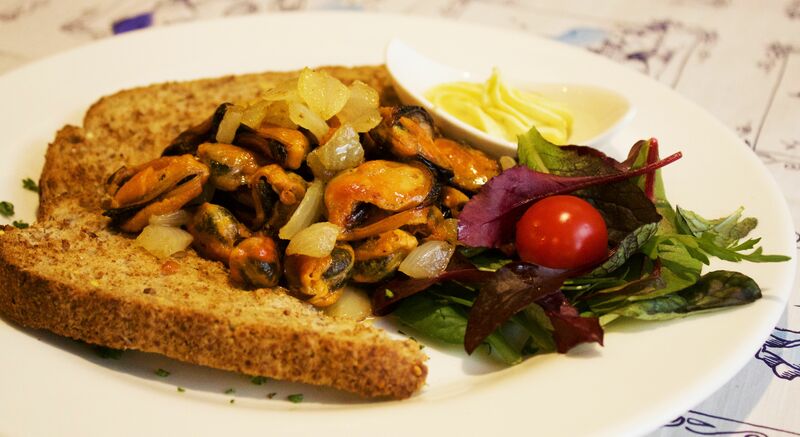 All meat and fish dishes are served with fries and salad.